It must taste wonderful! I love the scoring! I think I will need to steal your scoring idea! By the way, I loved your detailed write up! 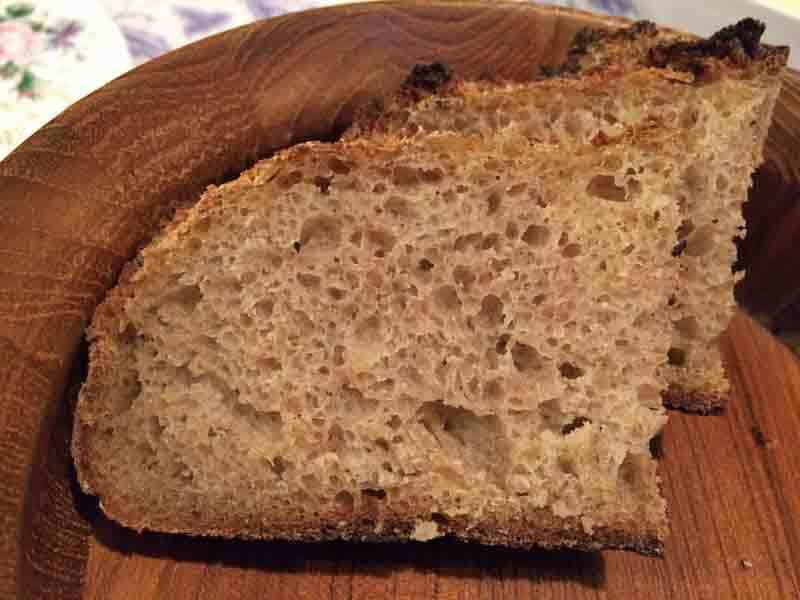 Very easy to follow along to see how you made this particular bread. I like the sound of the flour combination, I really like rye and you've got a good amount in there. Hi David- I hope this is not too off topic, but I have just been offered a Nutrimill from a family member who is upgrading her grinder. 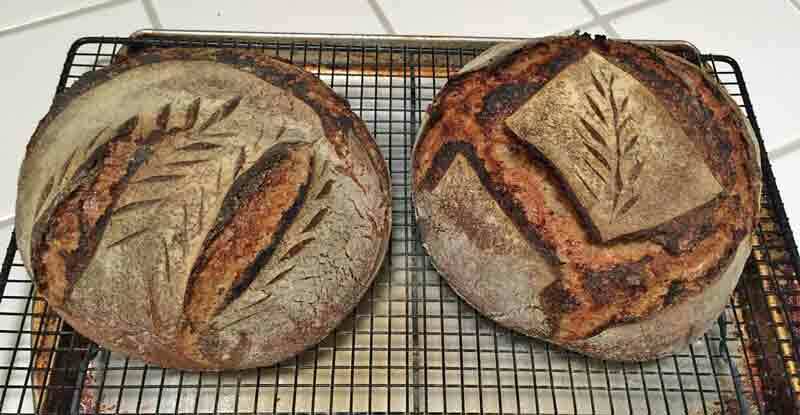 I want to know if you have noticed a large improvement in your breads since you have started using fresh-milled flour. Also, do you “age” your milled flour, and do you have any tips for substituting home milled flour in recipes that call for whole grain flours in their formulas. Perhaps you or others can direct me to a good link on this site. I am also wondering if it would be useful to get a fine mesh sifter to make varying extractions. I thought it might be fun to try milling grains, but thought it might not be worth the trouble, but it is hard to resist a free mill! I certainly don't regard myself as any kind of home milling expert. I'm pretty new at this and still learning. Specifically, I have no experience with the Nutrimill. From my reading, the Mockmills like the one I have are much quieter and much, much less messy than other makes. With some, it is recommended you only use them out of doors! I don't find home milling much trouble, and it's kind of fun. I do like the idea of being able to keep a number of different kinds of grains and not worry about spoilage. I will confess, I don't notice a dramatic difference in flavor, but I know the nutritional benefits are there. I bake one or two loaves once or twice a week. I mill the flour either right before mixing the dough or the night before. I don't "age" it. I have a sifter but I haven't played with it yet. I don't treat home-milled flours any differently than store-bought flours of the same grains. I know there are lots of folks with tons more experience than I. I suggest you start a new topic asking for mentoring. I will certainly participate. You might also talk to a few vendors who sell the Nutrimill and also other makes, including the MockMills. David- Thanks for your suggestions. I will especially take your suggestion about starting a forum, but I need to wait a few days when my reaction to the new shingles vaccine wears off. Thanks for all of your inspirational sharing. Thanks for letting me know. I'm happy you like it. As you may know, I've been playing with the grain mix. My current favorite changes the rye to 75g and the Spelt to 200g in this formula. It increases the gluten in the total dough some. But, as anticipated, all versions have been delicious.